I've been making more of an effort to enjoy everyday moments. I won't bore you with a list of all the things I'm thankful for (just way too many things to list). 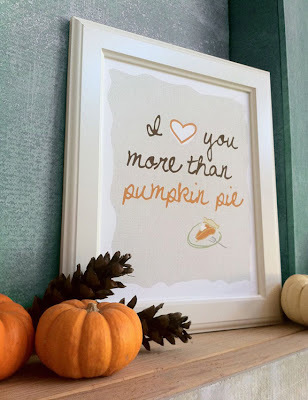 But one things for sure, we sure do love our customers more than pumpkin pie! And, we LOVE pumpkin pie. I think the print by UP is freaking awesome, what a great store concept uplifting prints. How cute is the tagline "Happy Art For Happy Walls." How perfectly are our boxes displayed in these images! Some more excellent images from CreativeTreasures4u --make sure you check out all the other personalized custom designs that are available.